These Adult-Size Jumping Stilts Bouncing Kangaroo Shoes have a 154 to 198 lbs. weight capacity. 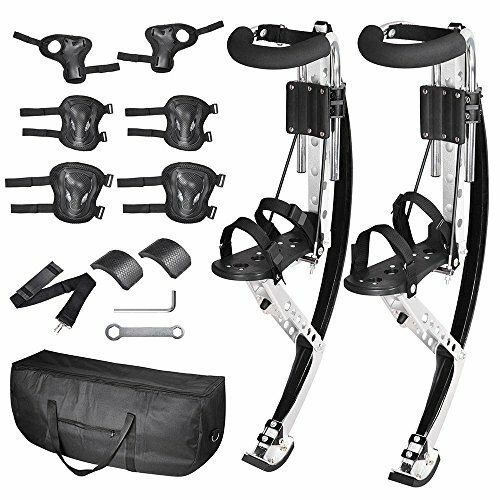 Made with strong aluminum alloy frame, reinforced fiberglass spring, adjustable foot straps, and skid-proof rubber feet. IMPORTANT: A safety helmet must be worn at all times while using this product. These kangaroo stilts are the latest sports and exercise craze! These stilts will let you bounce, jump, walk or run much faster and higher!